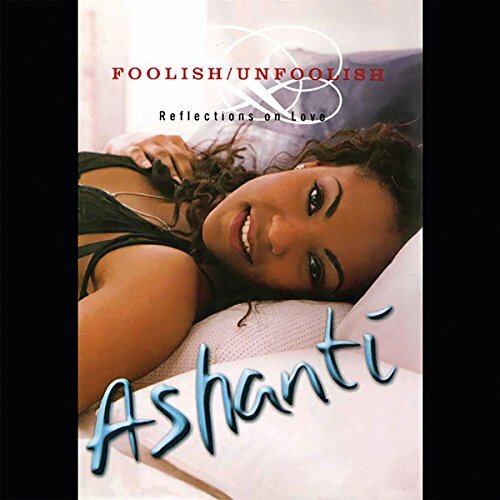 Foolish/Unfoolish is a collection of vibrant and honest "reflections on love" by R&B singer Ashanti. Ever since she was 13 years old, Ashanti has kept journals of her poetry, thoughts, and ideas about life and love. Now, in this very personal collection, Ashanti presents her poems about love, along with stories about what (or who) moved her to write them. In Foolish/Unfoolish, Ashanti explores such universal themes as falling head-over-heels in love, becoming insanely jealous, feeling broken-hearted, and being single but having hope for the future. In "No Words," she describes being completely addicted to a new boyfriend; in "Ride Out," she captures what it feels like to be joyriding with your man on a hot summer night; in "Insecure," she writes about telling a suspicious boyfriend to stop driving by her house at night to see if her car is there; and in "Us," she delves into the pain of discovering that your man is cheating on you. Spirited, moving and often filled with humor, Ashanti's poetry and reflections will entertain and surprise as they offer an intimate look into the life of one of today's most popular performers. These are works that are both lyrical and raw and which tell the truth about love.